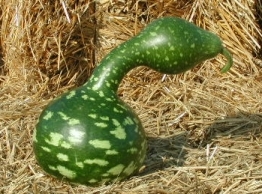 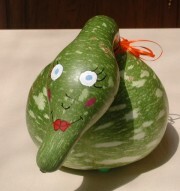 Speckled swan gourds are by far our most popular gourd for decorating when green. 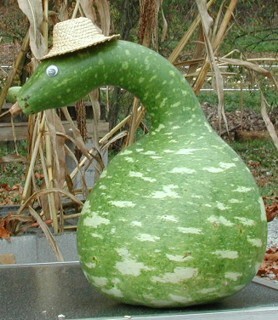 Be careful, however, when you grab them by the neck -- the necks are quite fragile and easily broken. 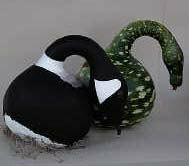 When green or dry, they can be painted to resemble waterfowl like ducks, geese or swans.